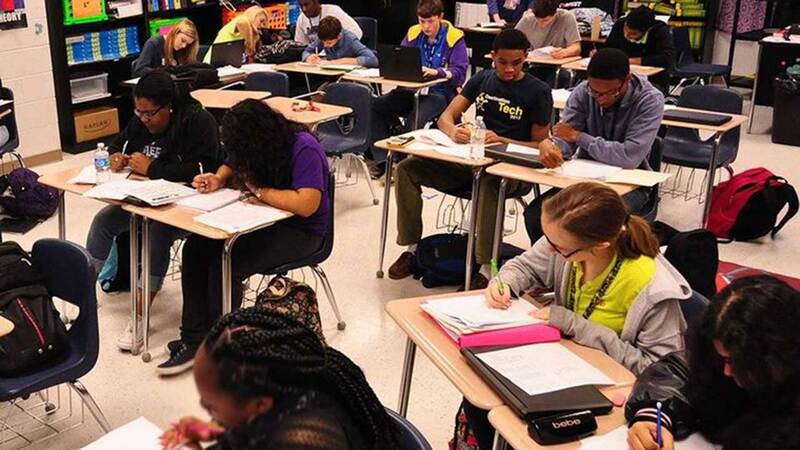 PEARLAND, TX -- For many years, less than 45 percent of students taking the SAT meet the "benchmark" score that indicates college readiness, which is about 1500, or 500 points per section. Because of this, extra time and money is spent on remediation classes in the college setting, helping students become "college ready." When students take the SAT in spring 2016, they'll encounter a different exam than their classmates before them. This redesigned test will be more focused on the few essential things that research shows matter most for college readiness, it will be more open and clear, so students and educators know what to expect and will be more easily accessed by being available online in some places. Pearland ISD is taking extra steps to make sure as many college-bound students as possible are indeed "ready" when they cross the threshold into the college or University of their choice. PISD is giving students a preview into the new SAT via practice PSAT exams and started offering an SAT Prep and College Readiness class, which has garnered national attention, at all three high schools.